Alìe, a fabled sea nymph, a symbol of sensuality and beauty, inspired Alìe, an elegant rosé with a luminous pink hue and subtle ruby highlights. It is a stylish, beautifully-balanced blend of Syrah and Vermentino, varieties that express their finest qualities when grown near the sea. Scents of spring wildflowers, wild strawberries, and citrus peel combine with a tasty vein of earthy minerality, classic to this growing area, that supports a delicate structure and infuses a lengthy, complex finish. Alìe makes an enchanting apèritif wine as well as throughout a meal, enjoyed with close friends and family. Villa di Remole, in the heart of Tuscany, is the cradle of the 700 years of history and tradition of the Frescobaldi family. Remole is an intense, soft and fruity wine that will captivate and delight you. Particularly suited for full-flavoured first courses, charcuterie and red meat. Vintage Report The summer of 2017 will be remembered as one of the hottest, which accelerated the plants’ phenological phases, leading to the grapes ripening slightly earlier compared to previous years. The balance was re-established in August thanks to the rainfall and lower temperatures which helped all the substances necessary for a quality product, from the point of view of aromatic polyphenols, to move to the vines. The quantities were slightly lower compared to the previous year, which led to increased care of the grapes with an excellent final result. 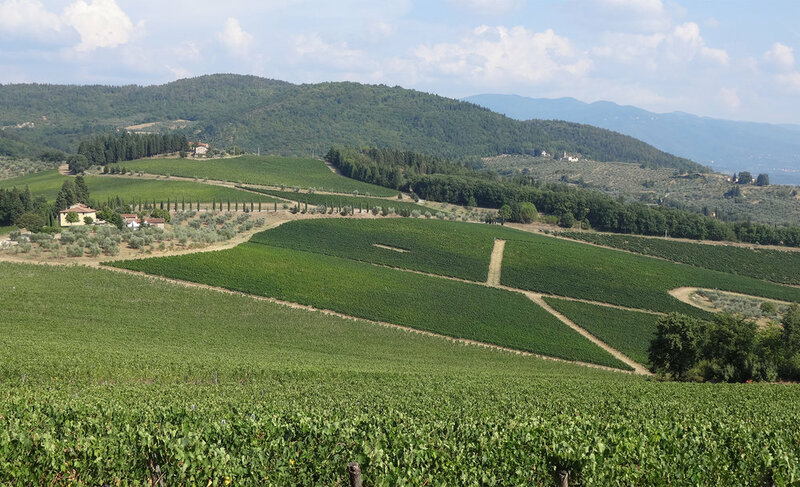 Thanks to the favourable soil and climate, Chianti Castiglioni reflects its lands’ characteristics as a soft, pleasantly fruity wine noted for its strong and well-defined personality.On the hills of Castiglioni the vines began to sprout new shoots in early April following a dry and relatively mild winter. March and April saw a few showers which enriched the water reserves necessary for the development of the young shoots. The flowering and the subsequent summer season were characterised by a scarcity of showers and high temperatures that allowed the grapes to grow and mature in a healthy environment without the risk of phytosanitary complications. Thanks to their ability to store moisture, Castiglioni’s typical clay terroirs played an essential role in alleviating water stress caused by the absence of showers in the summer period and helped the grapes to achieve a large concentration of sugars and polyphenols.